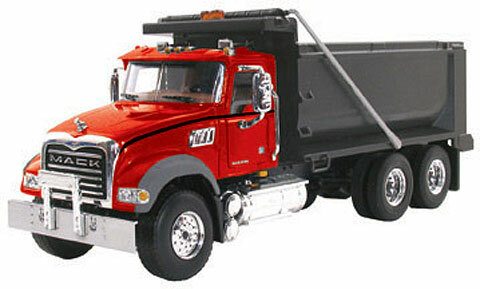 First Gear manufactures the most detailed, authentic die-cast metal truck replicas available. 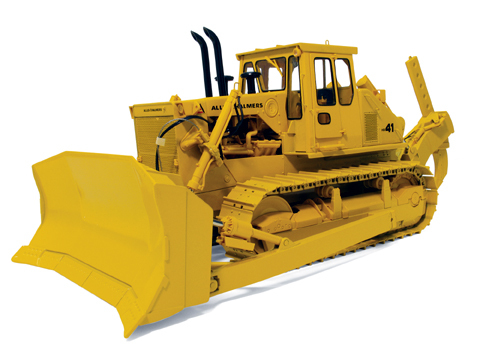 First Gear's initial product releases consisted of 1/34 scale vintage classic trucks from the fifties and sixties, but the product line has been expanded to include contemporary trucks in 1/54 scale, construction equipment in 1/87 and 1/25th scale, as well as novelty banks, cars, and air planes. All First Gear replicas are officially licensed by the original equipment manufacturers. Standard features of all First Gear replica trucks include fully detailed interiors and undercarriages; precise detail; hand painted tail lights and marker lights; chrome plated side mirrors; freely rotating wheels; and authentic detail and design. Choose from a wide range of officially licensed models including Ford, Freightliner, GMC, International, Kenworth, Mack and White. All graphic decoration is imprinted directly on the vehicle. Thousands of diecast toys and collectibles, all online! to browse our extensive inventory of First Gear.